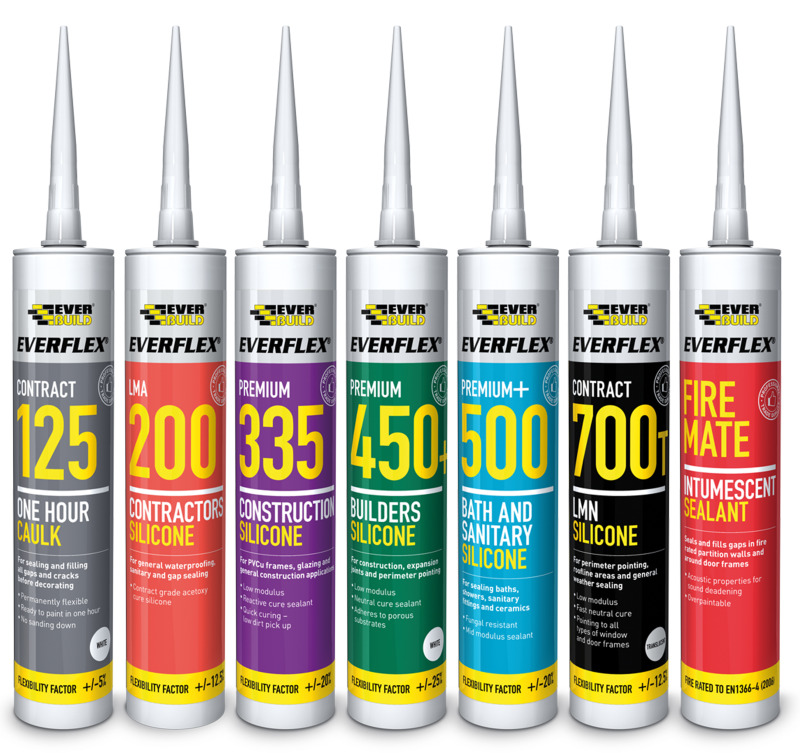 The Everflex range of professional sealants has had a make-over, incorporating the same great performance your customers expect from Sika Everbuild with a fresh new design that looks great on the shelf. With professional trade quality products to suit almost any application including sanitary, glazing, roofline and interior finishing, the Everflex range really is the ultimate collection and the only one you need to stock, says the company. To support the release of the new look Everflex range, an array of merchant support and point of sale will be available along with a full media campaign and promotional animated video for in store display. For more information, visit the company website or contact your local Sika Everbuild sales representative.